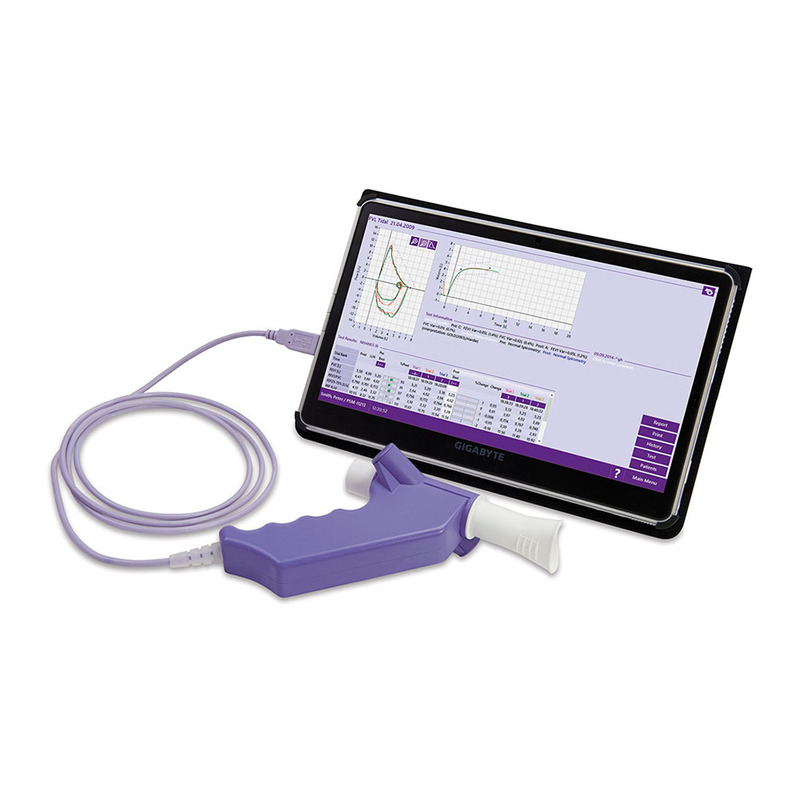 For those searching for a fully-integrated PC-driven spirometer, the Easy on-PC is a clinically proven solution. The Easy-on PC leverages our trusted TrueFlow™ technology that delivers unprecedented accuracy and reliable results without needing calibration. Real-time graphs and animated incentive screens enhance the user experience, encouraging child and adult patients to help them achieve optimal results. TrueFlow™ technology, high-quality & optimized components and Swiss precision-manufacturing deliver quick & accurate results without calibration. Simplify testing using the instant test quality feedback and interpretation platform. Interactive software displays, animated incentive screens and real-time graphs encourage child and adult patients to help them achieve maximum results. The flexibility of settings permits customized solutions including EMR/EHR integration to meet your individual needs. Whether your are in or outside your office, you always get optimal results with Easy on-PC, which is designed for maximum robustness under any condition. Avoid cross-contamination and reduce cleaning to an absolute minimum with the single-patient-use spirette. Get automatic quality grading and interpretation Quality grades based on NLHEP and ATS/ERS for all tests with the Easy on-PC. The Easy on-PC software, EasyOne Connect, can be downloaded free of charge directly from our website. Click here for the download.